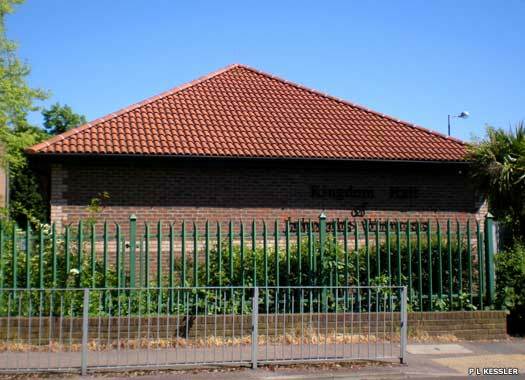 Kingdom Hall of Jehovah's Witnesses is on the eastern side of Willingale Road, opposite Jessel Drive in the Debden area. A relatively new red-brick building (of perhaps the 1990s), the hall is well known in Loughton thanks to one of its more colourful members. The member, heavily pregnant, staged a bikini-clad protest against a neighbouring independent school in 2009 after it cut down the hedge that separated their properties. Fellow members were dismayed at the publicity. St Thomas More Catholic Church occupies a plot on the western side of Willingale Road, with Collard Avenue, not much over three hundred metres (yards) north of the Jehovah's Witnesses in Debden. 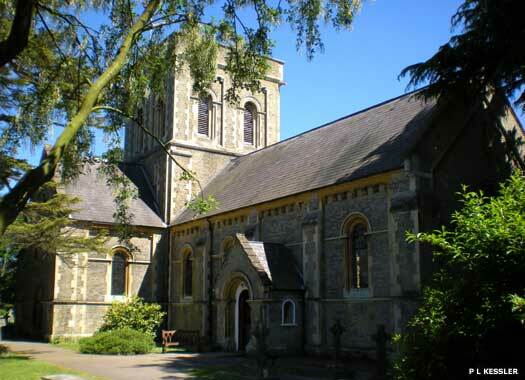 The church was opened in 1953, probably as an offshoot of St Edmund of Canterbury in Loughton. It has a long nave, built in yellow-brown brick, and is dedicated in honour of Thomas More, Lord Chancellor of England, who was executed at Tower Hill on 6 July 1535. 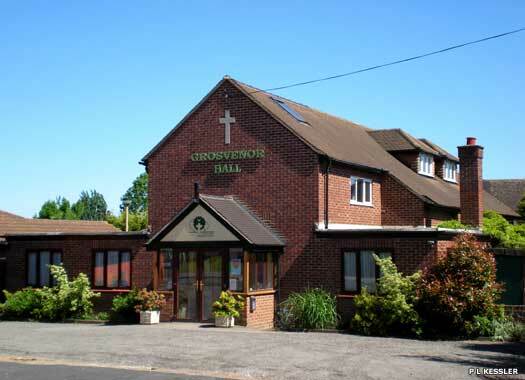 Epping Forest Community Church meets at Grosvenor Hall, on the eastern side of Grosvenor Drive in the very north of Loughton. 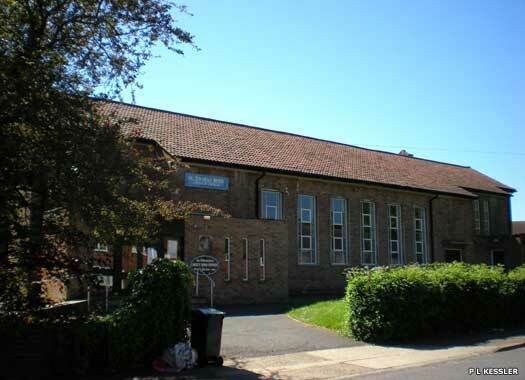 This evangelical church was established in 1982 to serve members from all over Loughton, but it seems the building was erected by the Church of England in 1953 as St Gabriel Mission Church, which served as a chapel of ease to St John the Baptist Church (see below). The date at which the mission was abandoned is not known. 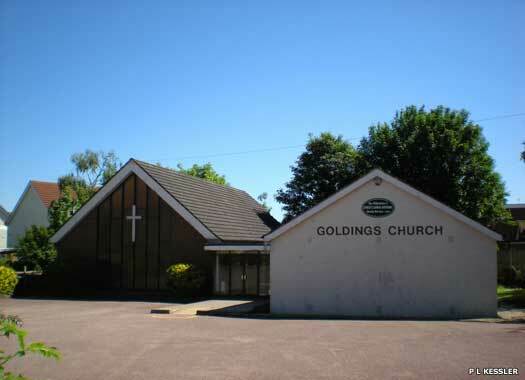 Goldings Evangelical Church fills the south-east corner of England's Lane where it meets Lower Road. There was an early Loughton Congregational Church in an iron chapel on the same street, although this was possibly before they gave it up to share the premises of Loughton Baptist Church. 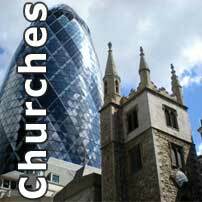 It seems likely that the present evangelical church occupies the same site as that earlier church, although not the same buildings. The one on the left is new, perhaps of the 1990s. St John the Baptist, Debden, is on the northern side of Church Lane (formerly Blind Lane), close to the junction with Church Hill. The church was consecrated in November 1846, after being built on land which had for the most part been held by Baptist minister Samuel Brawn. 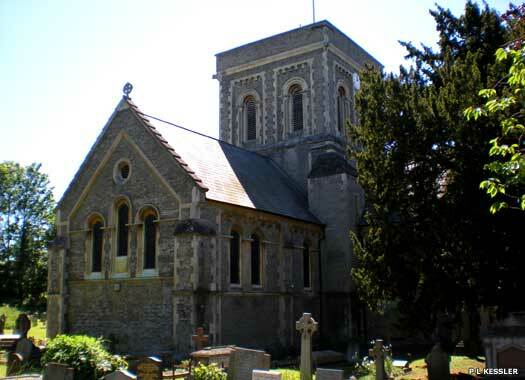 The new church was much nearer the village of Loughton than the old St Nicholas' Church, and was of yellow brick in 'Norman' style, consisting of nave, chancel, transepts, north porch, and central tower. The architect was Sydney Smirke (1798-1877), brother of Sir Robert Smirke (1781-1867). There are eight bells of 1866-1874. The fifth bell was recast from two of the bells of St Nicholas', dating to 1621 and 1655. Between 1875 and 1878 the chancel was enlarged, but the church was slightly damaged by bombing during the Second World War. In 1947 the timber St Francis Mission Church was built as a chapel of ease at Oakwood Hill on the Debden estate (now gone).